More about "Heart's Home" you can read here. We, the colleagues of St. Clement's Center: communion and dialogue of cultures, from the bottom of our hearts congratulate you on what is the most joyful feast of the Nativity of Christ! During the Christmas period we generally tend to see the world simply and joyfully. The Nativity. Mosaic from Monastery Church, Hosios Loukas, Greece, 11th c.
In these days, according to Saint Ephrem the Syrian, “The children cried out, ‘Blessed He that hath become unto us a Brother, and Companion in the midst of the streets. Blessed be the day which by the branches giveth glory to the Tree of life, that made His Majesty be brought low, to our childish age!” (sixth hymn on the Nativity). This is the feast of childhood – that particular state of mind, which is inherent to both children and adults, when everything is renewed. In renewing the world, Christ sought to associate Himself with human childhood: “He came forth and sucked milk as a child, and among little children the Son of the Lord of all crept about. They saw Him as a little Child in the street, while there was dwelling in Him the Love of all. Visible children surrounded Him in the street; in secret Angels surrounded Him in fear. Cheerful was He with the little ones as a child; awful was He with the Angels as a Commander” (third hymn on the Nativity). In these heart warming days we hope that your hearts and minds experience renewal, so that a joyous meeting with the Christ Child will inspire you to undertake new creative initiatives! Childhood in Christian Tradition and in Contemporary Culture. Awaiting your thoughts on the topic! 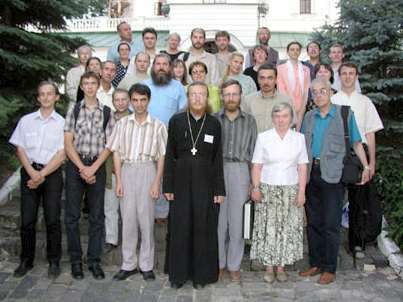 Kyivan Theological Summer Institute has been held in Holy Dormition Kyiv-Pechersk Lavra July 28 – August 9 2003. 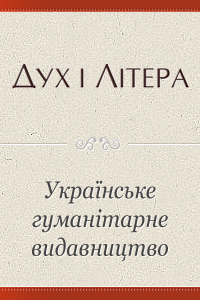 The Biblical Theological institute of St. Apostle Andrew (BTI) (Moscow), European humanitarian research center of NaUKMA, Kyivan Theological Academy and Seminary (KTAS) and Kyiv-Pechersk monastery are organizers of such an initiative first time for Ukrainian Orthodox Church. — On the 13-th year of our existence, - has stressed Alexiy Bodrov, - such a project in Kyiv is first time. 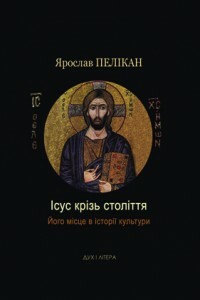 5 summer theological courses were held in Minsk before under the guidance of His Eminence metropolitan Philaret. One of the best professors in bioethics (Fr. 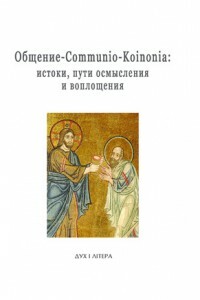 Peter Kolomiytsev), theology of iconography (I. Yazykova), history of literature of Rus' (G. Barankova), Christian knowledge of islam (M. Kiktev) from Moscow and biblical exegetics (Y. Vestel), theology of history (S. Krymsky) from Kyiv, philosophy of culture and theology of science (A. Filonenko) from Kharkiv and others lead this intensive course of the lectures for 39 young teachers and clergy from the different dioceses of Ukraine.